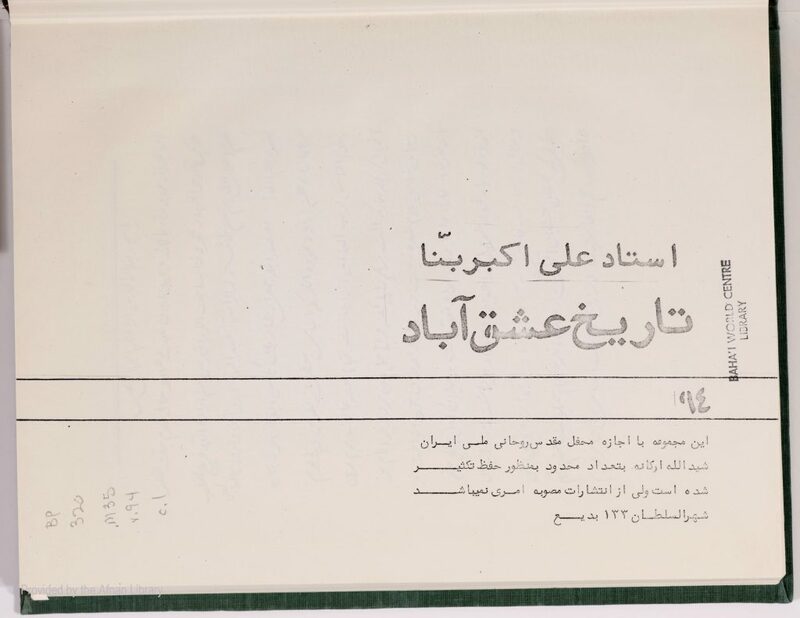 Description: Manuscript history of the Bahá’í community of `Ishqábád until 1903, when the author was killed as a Bahá’í in Yazd. This manuscript has been published (Táríkh-i `Ishqábád, ed. Vahid Rafati, Hofheim: Baha’i Verlag, 2015). 407 pp. of ms. (410 pp. of PDF).